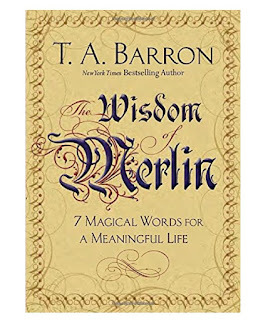 This post was sponsored by author T. A. Barron and was inspired by his gift book “The Wisdom of Merlin: 7 Magical Words for a Meaningful Life.” All opinions are my own. This post contains affiliate links. Graduation season is upon us. All over the United States, kids are graduating from pre-school, kindergarten, Eighth Grade, High School and College. Caps and gowns, pretty dresses and ties are all being discussed. Blogs and Pinterest are full of graduation gift ideas for that special grad in your life. Around here, we are celebrating an upcoming 8th grade graduation. It seems such a right of passage, leaving childhood behind for his first big steps into the "real world." It's both exciting and a bit scary. I remember my own eighth grade graduation, and high school and college . . . they were times of great joy, but also a bit of apprehension of what was to come. 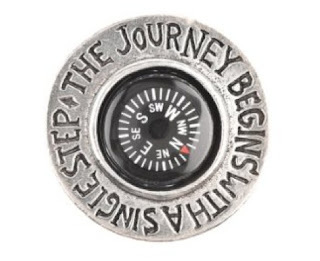 Whether you're moving from one school to the next, or moving from college on to the rest of your life, it's a big step with changes and new responsibilities and challenges. Wouldn't it be awesome if we could give them a gift they could use every day for the rest of their lives? Something powerful and nurturing; what if we could give them the gift of wisdom? According to the dictionary, Wisdom is "the quality of having experience, knowledge and good judgement." 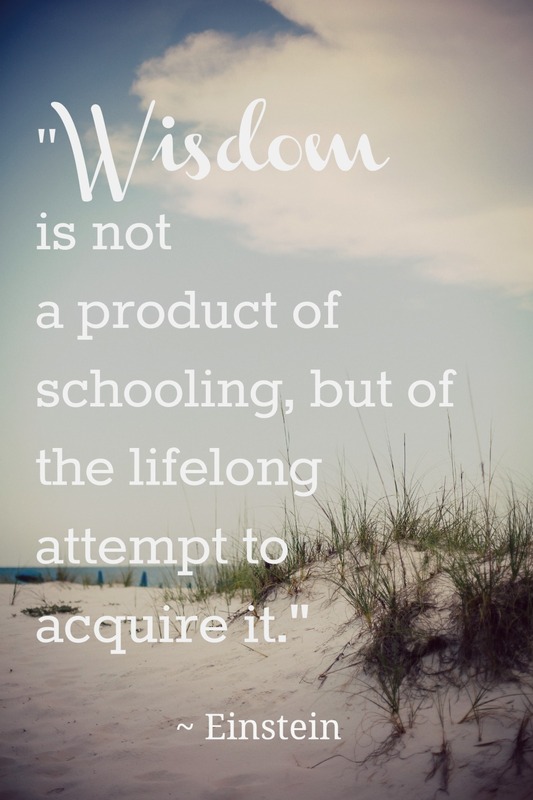 There's no reason why you can't give the gift of wisdom to your graduate. Or at least a little bit of wisdom, passed on from you to them. 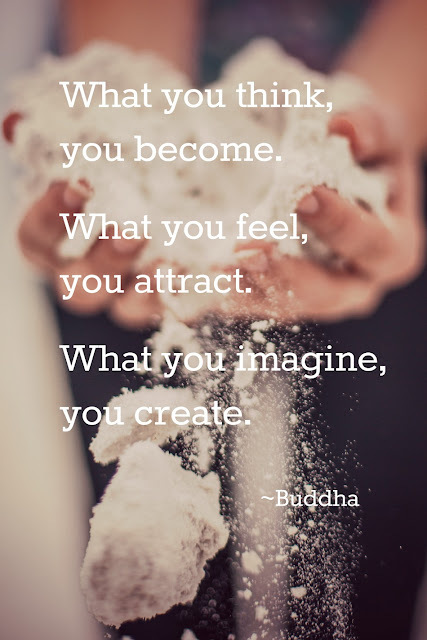 I've decided that I'm going to get this quote printed and framed for my own graduate this year - it's something I want him to think about and remember. Thinking about the graduate(s) in your life, how could you provide their future with some wisdom and inspiration? Maybe a Pocket Compass to lead them on to success? Or this pretty Dream Achieve Believe Bracelet? My graduate is a reader, and I'm leaning towards a good book that he can dive into this summer (besides required summer reading) to get ready for high school. I was introduced to the latest book by T. A. Barron and I'm thinking it may be a perfect choice. 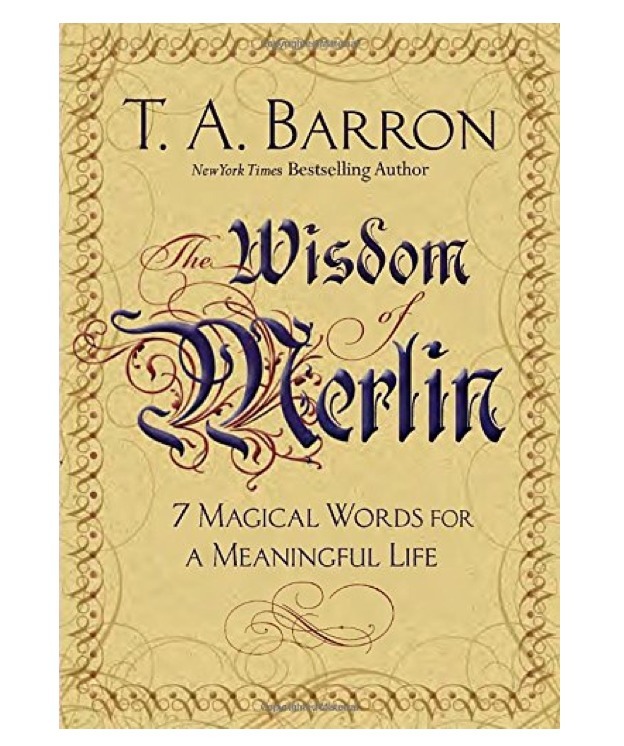 T. A. Barron's new book, "The Wisdom of Merlin: 7 Magical Words to a Meaningful Life", features 8 key principles for leading a meaningful life and is appropriate for all ages. This book is the wizard Merlin’s answer to the question “What is the meaning of life?” Surprisingly, the answer has only seven words, but they are the most powerful words of all. A teacher I know, picks one book each year as her standard graduation gift - this book would be a great choice! Inspiring our future leaders is a wonderful gift we can give from our hearts, every day. What's the best piece of wisdom or advice you ever received?